One of the gems of our Squalan skincare range is the Pure Facial Oil. We can’t live without it! The ingredient of this oil is 100% vegetable and identical to a substance that naturally occurs in our skin. The Pure Facial Oil helps your skin recover by giving back what naturally belongs in it. The Pure Facial Oil can be used in many different ways, try for yourself! The Pure oil consists of the ingredient squalane, which restores your skins natural balance. This means that dry skin will be better hydrated and an oily skin will be less oily. It also makes your skin glow, which makes the Pure your natural highlighter. Do you have dry cuticles? Apply one drop of Pure to dissolve this problem. Pure also strengthens dry en fragile nails. Sometimes your foundation starts to wear off during the day. When it feels very dry on your skin after a long day, you can use a drop of Pure to refresh your skin. We all know the problem of those short baby hairs that never look the way you want them to. A little bit of Pure can help you to tame these hairs. Especially during winter, dry skin and a red nose are common problems. You can use some Pure to make your skin soft again. Don’t have any eyebrow gel at your disposal? Don’t worry! Use a drop of Pure to fix your eyebrows. Take care of dry skin on your feet by using the Pure oil to make your skin soft again and repair it if necessary. Both the Pure and moisturizer are good products to use in a scrub. Many women have to put up with it every summer: upper legs scraping against each other. Massage some Pure into these spots to repair the skin and to make sure it doesn’t scrape. Torn lips? Can your lips and the skin around them use some extra love? A drop of Pure can work magic! You shouldn’t forget to take care of these areas! Use 1 to 2 drops on your face as well as your décolletage and neck to nurture your skin. When you haven’t had the time to visit the hairdresser and you start to notice split ends, you can use the Pure as a hair serum. A small drop will suffice. Did you know that our Pure takes care of your eyelashes too? By nightly applying some Pure on cleaned eyelashes you can improve their state and condition. Every woman who dyes her own hair needs a bottle of Pure! By applying the oil on the hairline, you prevent the hair-dye from leaving stains on your facial skin. 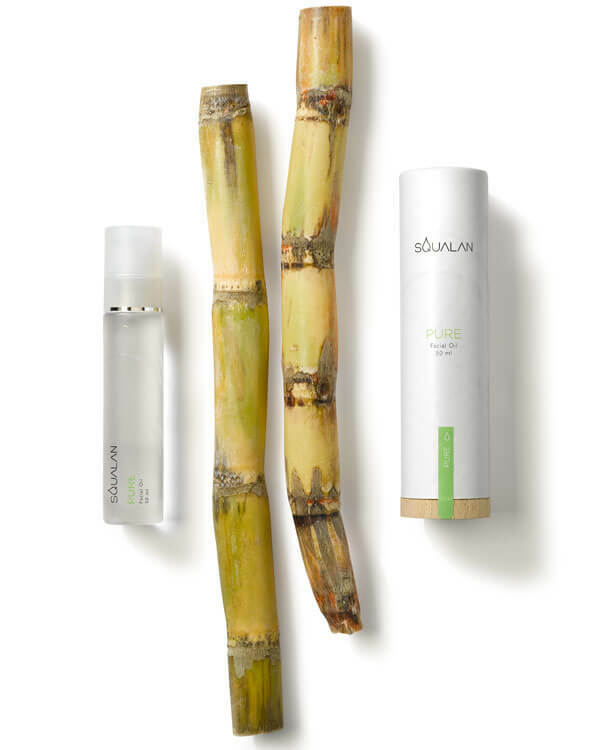 Last but not least, you can use the Pure to soften the skin on your elbows (and even your knees!). You only need a little bit of oil to nourish your skin.